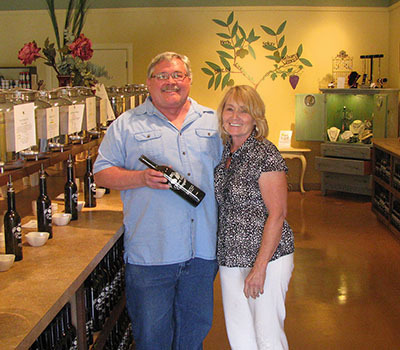 Hello from Carol and Ralph Campbell the proud owners of the ABQ Olive Oil Company. We have lived and worked in New Mexico since 1986. In our travels, a few years ago, we discovered a tap room – tasting shop, and our concept of gourmet foods and salads was changed forever! Wow, we could not get it out of our heads how amazing true Extra Virgin Olive Oil and Aged Balsamic Vinegar could and should taste like. We bought our first bottles while in the Midwest and never turned back. 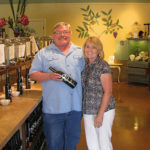 The amazing taste was not the only thing we learned to love about true Extra Virgin Olive Oil and Balsamic Vinegar, we also learned the health benefits we gained when cooking and baking with these products. There was just one thing missing—a store close to home! What better way for us to share our knowledge and products with our community, but to open two stores in Albuquerque.